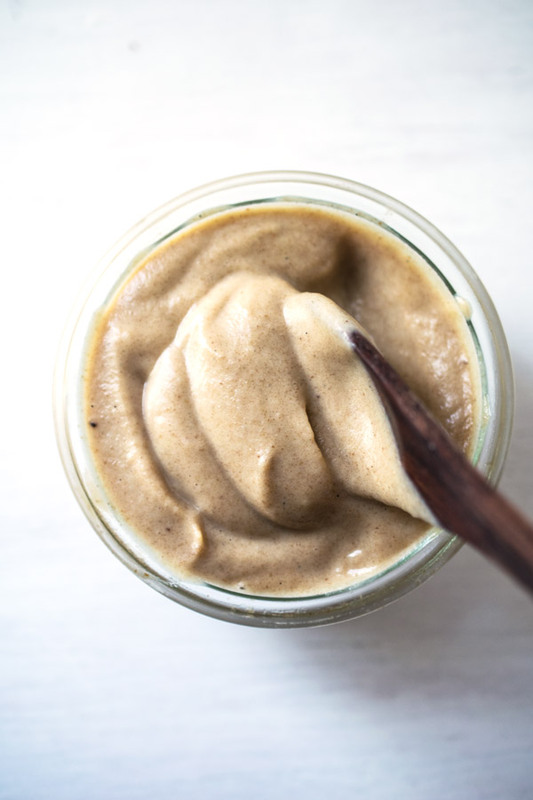 5-minute caramel dip made as whole and nutrient-dense as possible. Three main ingredients come together to create a spectacular, whipped caramel dip that is raw, vegan, dairy-free, and refined sugar-free. 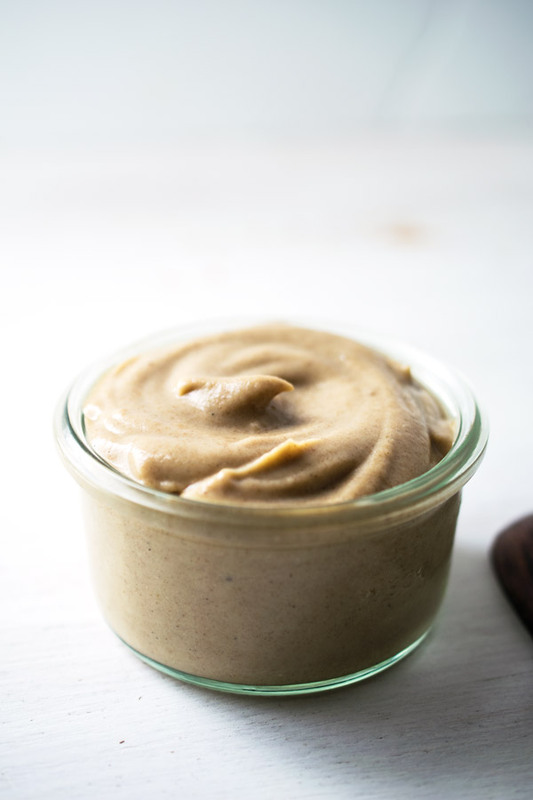 The perfect foundational caramel dip recipe for fun experimentations like creating a caramel drizzle or even adding something like coconut butter to create a caramel dip that will harden. Dates, my favorite sweetener, provide a rich caramel flavor, but also nutrients like vitamin B-6, potassium, and magnesium, and some fiber. Together with creamy raw cashews, providing some healthy fat and that necessary buttery texture, and fresh vanilla bean, this caramel dip is extraordinary. 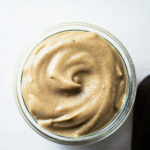 Three main ingredients come together to create a spectacular, whipped caramel dip that is raw, vegan, dairy-free, and refined sugar-free. The perfect foundational recipe for fun experimentations. In a high-speed blender, add about 3 parts dates to 1 part soaked cashews. Add a small piece (about 1/2 inch to start) of fresh vanilla bean and a pinch of salt. Pour in just enough water to start the blending process. With a jar of water ready, blend on high, streaming in additional water if needed to help blend and to reach the thickness you desire. Taste. Assess the flavor. Adjust with additional cashews if you want a creamier dip and more vanilla if desired. Blend until smooth. Serve warm or chill in the refrigerator before serving. Enjoy as a dip, thin out to make more of a caramel drizzle, or experiment with adding coconut butter to create a caramel dip that will harden. If you only have dried dates, soak in water about 10-15 minutes until soft and then drain.